The candidates must read the INSTRUCTIONS CAREFULLY FOR APPLYING ONLINE, which are available on the website of the Commission, i.e. http://www.hppsc.hp.gov.in/hppsc ; before filling up Online Recruitment Application Forms (ORA) for the concerned posts. The candidates must ensure their eligibility in respect of category, age and essential qualification(s) etc. as mentioned in the advertisement to avoid rejection at any later stage. Incomplete Online Recruitment Application Forms submitted without requisite examination fee, scanned photograph & scanned signatures of prescribed size, will be rejected straightway. The benefit of reservation for various post(s) will be admissible only to the candidates, who are bonafide residents of Himachal Pradesh in respect of categories, viz., S.C., S.T., O.B.C., WFF and Physically Disabled (Orthopaedically Disabled/ Visually Impaired/ Blind / Hearing Impaired / Deaf & Dumb) etc. The reserved category candidates belonging to other states will be treated as GENERAL CATEGORY CANDIDATES and the benefit of reservation and fee concession will not be admissible to such candidates. 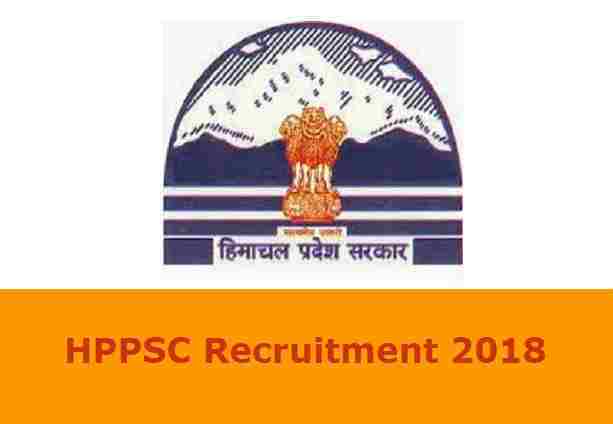 Read the article carefully before applying for this HPPSC Recruitment 2019. Pay Band: Rs.10,300 – 34,800 per Month. Pay Band: Rs.16,600 per Month. Pay Band: Rs.11,910 Per Month. Education Conditions: Applicants who have passed in their Graduation in any stream can apply for this HPPSC recruitment 2019. Age Criteria: All those who have age in between following age group of “ 18 years to 45 years can apply for this HPPSC Recruitment 2019. The Applicants must apply online through the official website of the department whose link is :”http://www.hppsc.hp.gov.in/hppsc”. Online Applications received through any other mode would not be accepted and summarily rejected by the Public Service Commission department of HP. Detailed instructions for filling up Online Recruitment Application(s) are available on the above mentioned website. Check IMPORTANT LINK section for online application as well as for the official Advertisement from which we took the whole information which we shared under this article. 13TH Dec. 2018 is the Opening Date to apply. Disclaimer: We took this information from the following website: “ http://www.hppsc.hp.gov.in/hppsc/file.axd?file=2018%2f12%2fAdvertisement+No.+16-2018+(H.P.+Subordinate+Allied+Services).pdf ”. So all the rights of the above information goes to this website only.